Popular 2 wheeler maker in India, HMSI ( Honda Motorcycle and Scooter India ) has made an official announcement that Honda CBR 650F is going to be launched on 4th of August 2015 in India. This will be Honda‘s 10th launch out of the planned 15 launches this year. Booking for Honda CBR650F has already been started across all authorised Honda dealerships with a payment of Rs 50,000/-. Under the hood, 650F is powered by a 4 cylinder, 649 cc, liquid-cooled engine which churns out a maximum power of 86 bhp at 11,000 RPM and a maximum torque of 63Nm at 8000 rpm. The engine is mated with six-speed automatic transmission. Sources reveal that the bike would be sold across 20 different cities in India. Honda is going to manufacture and assemble the bikes at the rate of 2 bikes per day with a localisation of 5%. 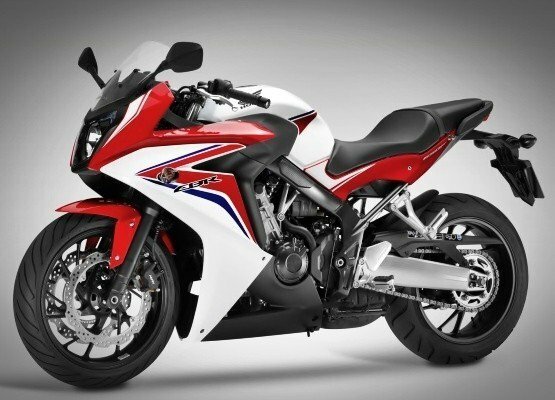 All new Honda CBR 650 is going to be offered in a single body color option, which is based on a twin-spar steel frame. When it comes to dimensions of this new bike, it measures 2110mm in length, 755mm in width, and 1145mm in height with a wheelbase of 1450mm. As for suspension system of Honda CBR 650F, a 41 mm telescopic fork does the duty at front, while a swingarm monoshock strut is at helm at the rear. The bike features 320 mm twin-piston caliper disc at the front and a 240 mm single-piston caliper disc at the rear. There is a digital speedometer with a couple of tripmeters on offer as standard feature. Honda CBR 650F would be challenging the likes of Kawasaki Ninja 650, Triumph Street Triple and the Ducati Monster 795, while being priced at around INR 9 lakhs (on-road). For those asking, HMSI, around a week back, launched the new 110cc commuter motorcycle Livo in the country at an introductory price of INR 55,000 (on-road).